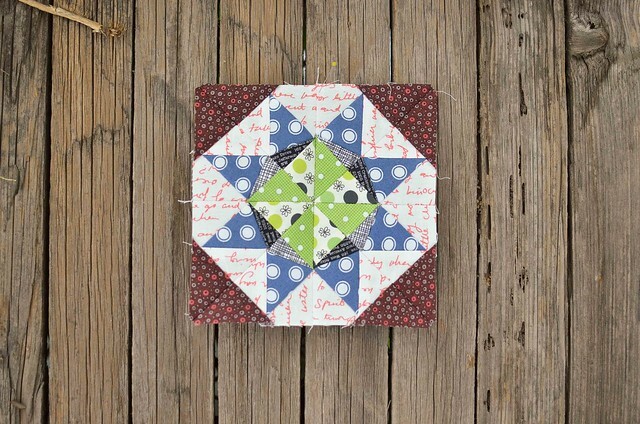 My Mom has been in town visiting so I haven't had much time for sewing, but I did find a little to put together my July Lucky Stars Block. I feel a little meh about my fabric choices on this one, but I think it will match up with the other blocks well. I am planning on adding more blues in the future so I think that will help. July's block was pretty easy to put together and once again I made the 6.5" block. At the end of the year I am planning on making a wall hanging with the finished blocks. 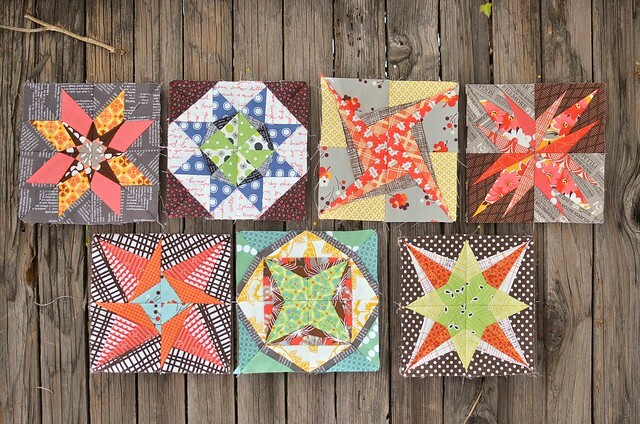 These are all looking very cute together - and I love your colour scheme. I don't think I would have thought of it, but it totally works. I like the recurring orange. They are looking good. Oh, i like this one! I think the pop of blue against the white is great. And if you plan on making more with blue then it should fit right in! Not that it doesn't now, it just comes off as a bit, "Look at me!" But the overall feel of it is still totally on par with the rest! I love all of these so much! They look gorgeous, I really need to catch up!